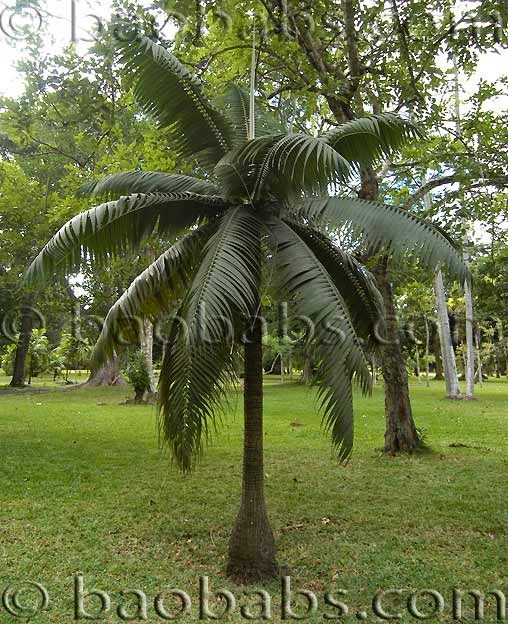 The dictyosperma is a flowering plant from the palms family, commonly found in the Mascarene Islands. It is a tropical plant, but it is threatened by extinction in its native habitat. The common name is the Princess Palmer Hurricane Palm, because of its ability to resist to strong winds. Its name comes from two Greek words which mean Net and Seed, and also White, because of the color at the top of the trunk. The rownshaft of the plant is one meter tall, and it is covered with a white substance. This gives the name of the plant. The crown can spread almost 5 meters, and the leaves can reach 3 meters.